Parker: Why Do Blacks Still Let Obama Off The Hook? 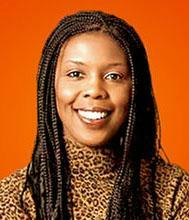 by Star Parker – A Chicago Sun Times article, headlined “The disappearing black middle class,” reports on the disproportionate impact of these hard economic times on blacks. According to the data, taken from the Washington-based Economic Policy Institute, median net worth of white households fell from $134,280 in 2004 to $97,860 in 2009, while over the same period median black household net worth went from $13, 450 to $2,170. The national unemployment rate stands at 9.2 percent, while black unemployment is over 16 percent. There’s more, but you get the picture. The nation has been hit hard, but blacks much harder. Which raises a point of interest. Approval rates for President Obama among whites have dropped from 56 percent in early 2009 after he became president to 39 percent now – a drop of 17 points. But over this same period, Obama’s approval rating among blacks has dropped just 8 points – 93 percent to 85 percent. Many whites who initially had supported our president are now crediting him for our current misery. But blacks, despite suffering far more, are far less inclined to hang it on Obama. The message that massive government spending and borrowing does not grow the economy has not reached blacks. Rather, like our president, they seem to believe that the problem is we just haven’t yet dug the fiscal hole deep enough. Is this a racial thing? Whites will jump off the ship run by a black captain in a minute while blacks will ride it out until it hits the iceberg? No, I don’t think so. I think it’s both a liberal information thing and a moral thing. The liberal information thing is that blacks overwhelmingly get their information from liberal sources. Blacks watch CNN and MSNBC, not Fox. They listen to urban black radio. They are not going to hear from these sources that if you look all over the world, nations with the most prosperous economies are the ones with the most limited governments. Liberal media refuse to get and pass the word that socialism has failed. The major organizations that supposedly represent black interests are all on the left, generously funded by big left-wing white foundations and by our nation’s corporations. The former do it because they are liberals, and the latter do it to show that they are not racist. And, like the Economic Policy Institute, that produced the data reported in the Sun Times article, they are supported by unions. But I think more corrosive is the moral thing. Almost a half century since the passage of the Civil Rights Act, too many blacks still don’t want to be free and accept the responsibilities that go with it. Too many blacks still believe that the condition of their lives is caused by what someone else does or has. It is sad that this is true despite the fact that blacks go to church more often, pray more often and say religion plays a central part in their life more than any other ethnic group in the nation. Why does a people so inclined to turn to God so readily violate the Tenth Commandment’s prohibition on covetousness and measure themselves in terms of what others have? And then use this sin to justify violating the Eighth Commandment and give government license to steal what others have in order to redistribute? Perhaps most fundamentally, how can a churchgoing people buy into the materialism of socialism? There is a solution to the general travails of our nation and the particular travails of our black brothers and sisters. It is called every man and woman taking personal responsibility for their lives, turning to government for protection of life and property, not redemption, and living as free people according to traditional biblical mores.